Crime scene and forensics is a fascinating career with many possible facets. "Forensics" is defined as "having to do with the court of law". It can include, but is not limited to, blood and tissue analysis, footprints and fingerprints, DNA and ballistics. Reconstruction of crime scenes fits into the analysis of evidence. The results must be recorded in a concise and literate format, and often presented in court. Evidence from crimes are gathered and preserved to prove what happened at a crime scene. Much of the proof is processed in a laboratory. Start your bachelor's degree program in forensic science today and start on the road to reaching your career goals. These classic forms of forensic science are not the only types. For example, there are textual forensics. Handwriting (machine-written or manual) is examined and analyzed in order to determine who wrote the text in question, and where it originated and when. Another example is working with other experts to determine the status of evidence. Doctors or chemists may be consulted to determine how a drug or chemical affected a victim, and it is up to you to merge the findings into a report. No two cases are the same, and it takes a mind like a chessboard to solve the puzzle. There are also many sub-fields of forensic specialization, which include Physical Anthropology, Criminalistics, Odontology, Digital Sciences, Psychiatry, Engineering Sciences, Toxicology, Pathology, Jurisprudence and Biology. There are several areas of expertise needed to get involved in Crime Scene and Forensics work. Listening skills are a must, as is the ability to take direction. Knowledge of chemistry, being the processes that materials undergo and their microscopic properties is a definite asset. Security, public safety, government and law should also be understood. A solid knowledge of the basic rules of English spelling, composition and grammar are a plus. The forensic scientist must be a problem-solver, able to see the larger picture (the forest through the trees). Finally, the applicant must have a solid grounding in customer service, knowing how to operate as a member of a larger team. There are different activities that Crime Scene Analysts and Forensic Scientists will perform on a daily basis. One of the most obvious is gathering information, taking samples, listening to reports and otherwise getting and processing all relevant information. Another is making certain that all such procedures comply with stipulated regulations. Further, detecting changes in events is key in determining the direction of an investigation. All the information gathered must be stored, usually in a computer, sometimes shared with others, often by email. All this has to be done in a timely manner, fitting in with others' schedules, and communicated in a way that can be easily understood by others. You may end up working for the United States Postal Service, a police department or sheriff's office, the DEA, the military, a private company, the United States Fish and Wildlife Services, the ATF, or a college or university. If you're really good, you may end up working for the Secret Service or the FBI. Critical Thinking – Be able to solve problems in the field. Communications Skills – You need the ability to work well with others and part of a team. 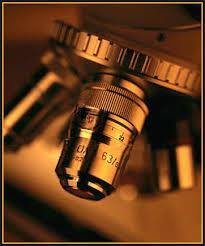 Attentive to Details – One of the top traits of a forensic scientist is to be detailed driven. A lot of your job depends on your attention to detail. Integrity – Being ethical in this line of work is a must. Analytical – You need to be system driven based on data that is collected and provided to you. Dependable – Because you’ll be working odd hours you’ll need to be flexible with your work ours and dependable when they need you.